Mount Mercy University has postponed its decision about starting a varsity football program for another year as it continues to study the costs, fundraising plans and future impact on the school. The Board of Trustees has endorsed the concept of having a football team for the 2019 season, but the board decided at its annual meeting this month in Florida that there are too many unanswered questions at this point. Where would the players live? How much money could be raised to finance the program? What impact would another 100 students have on academic classes? "Significant financial decisions remain which will require board approval," Mount Mercy president Laurie Hamen informed Mount Mercy employees in a Feb. 17 e-mail that was obtained by the Metro Sports Report. Hamen said in December that she expected a final decision on football during the early part of 2016, but now that time frame has been extended for another full year. Mount Mercy University plans to break ground on the new $15 million Robert W. Plaster Athletic Complex this spring and have the massive outdoor facility ready for competition in the spring of 2017. The university revealed final plans for the complex during a Holiday Open House at the University Center on campus Thursday evening. The Mustangs have raised $12.5 million so far for the facility and are seeking an additional $2.5 million in gifts to reach their goal, Mount Mercy President Laurie Hamen announced to a gathering of alumni, faculty, students, staff and friends. The new facility will feature a baseball field, softball field and a stadium for soccer and track, among other features. The softball stadium has been named Busse Field in honor of a donation from the Busse Family. Hamen said a final decision on whether to begin a varsity football program will be made early in 2016. If Mount Mercy adds football, the stadium can be modified to hold practices and games. An animated video of the Plaster Complex was played during the Holiday Open House, showing an overhead view of all three lighted fields, a walking and bike trail, locker rooms, concession stand and parking lots. Paul Gavin has spent most of his adult life at Mount Mercy University as a successful student, athlete and coach. Now he's interested in becoming the school's new athletic director. Gavin, 49, confirmed this week that he's one of four finalists to succeed Scot Reisinger as the athletic director at the NAIA school in northeast Cedar Rapids. Gavin has been Mount Mercy's head basketball coach since 1992 and has compiled a 387-329 record, including three trips to the NAIA national tournament. The Mustangs finished 27-5 last year and reached the second round of the national tournament. Gavin is also the head coach of the Mount Mercy men's golf team. He graduated from Mount Mercy in 1988. Gavin declined comment about his reasons for seeking the athletic director's job, out of respect for the search process, but he's said in previous interviews that he loves Mount Mercy University and has greatly enjoyed his three decades at the school. Mount Mercy University has announced the appointment of Scot Reisinger, current director of athletics, as dean of adult programs. Reisinger was the successful candidate following a national search and is assuming oversight of accelerated bachelor, online and graduate programs for the university. His efforts will promote continued quality and growth of these high-demand programs. Reisinger will assume his new responsibilities Aug. 10. 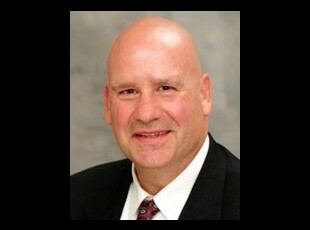 Larry Yoder, head softball coach, will serve as interim director of athletics from Aug. 10 until Nov. 1. During that time, Mount Mercy will conduct a national search for Reisinger's successor. At the conclusion of the search process, Yoder will return to his full-time duties as head softball coach.